RESISTANCE MOVEMENT. 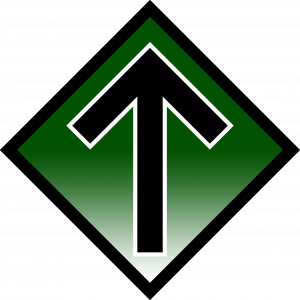 A yearly report for 2018 was recently published on the website of the Icelandic branch of the Nordic Resistance Movement – nordurvigi.is. Here follows an English translation. 2018 has been an eventful year for us in Iceland. At the beginning of the year, we held our first public banner activism, when we stood above one of the country’s biggest roads with a banner and flag. Throughout 2018 we improved the updating of our website with new articles; these included a detailed piece about the UN’s migration pact plans and how they would also be dangerous to Iceland. The article was well received by those outside the Movement and was shared widely online. We have recruited more members and have more new recruits in the process of joining. We have been more active on social media and have received much attention for our efforts. We took part in the successful (but chilly) 1 May Demonstration in Ludvika in Sweden, where we met comrades from all across the Nordics. We also translated our political programme Our Path into Icelandic (Vor Vegur). Throughout the year we have continued the struggle with regular propaganda distribution. This resulted in a propaganda war in Reykjavik with the Left, who published videos of themselves covering up our material with stickers. I’m pleased to report that it was a propaganda war we won. 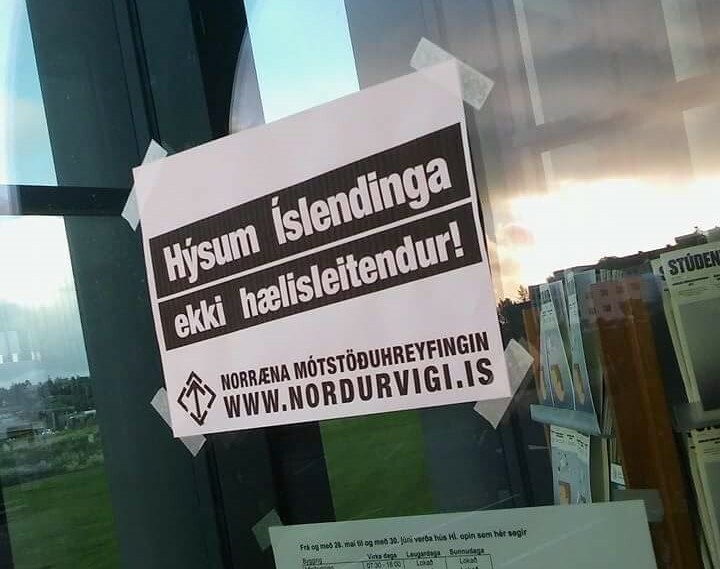 We ran the campaign “Houses for Icelanders, Not Asylum Seekers” with stickers, leaflets and banners, in response to the government buying houses for foreigners while Icelanders remained homeless. The campaign led to a deluge of lies from the Leftist media. These would continue throughout the year, with fake news articles and false accusations against us. The lies and accusations have spurred us on to become even more active. In turn, the activism has inspired more people to get involved with the Movement. The last big activity of the year was on the 6th of December. 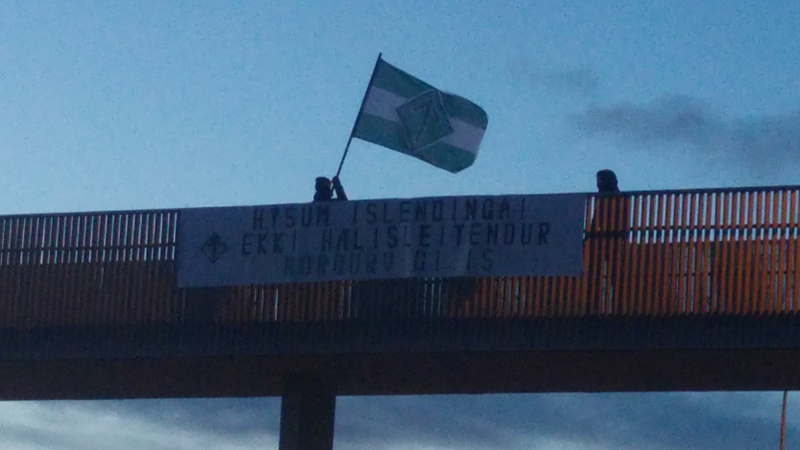 Unfortunately we couldn’t be present at our Finnish comrades’ demonstration in Helsinki, so on the same day we held a banner and stickering session around the Finnish embassy to show our support for the Resistance Movement against the government ban. In 2019 we will distribute even more propaganda, be more visible and recruit more members. 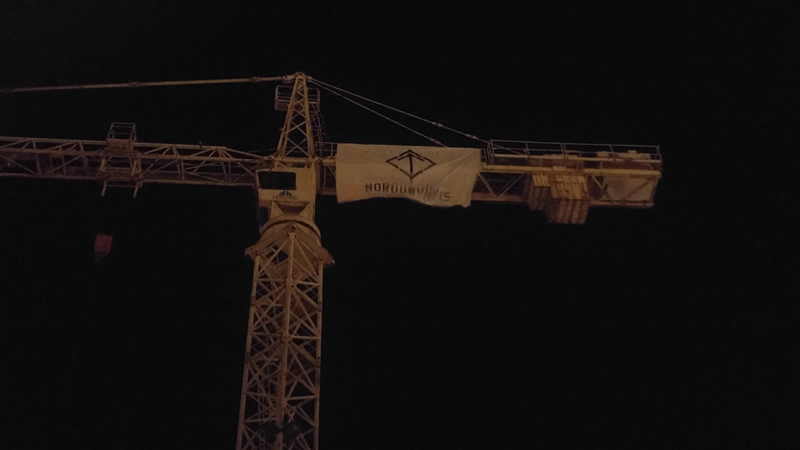 This year we have already carried out a new kind of activism, when we scaled a construction crane and hung up a large banner. 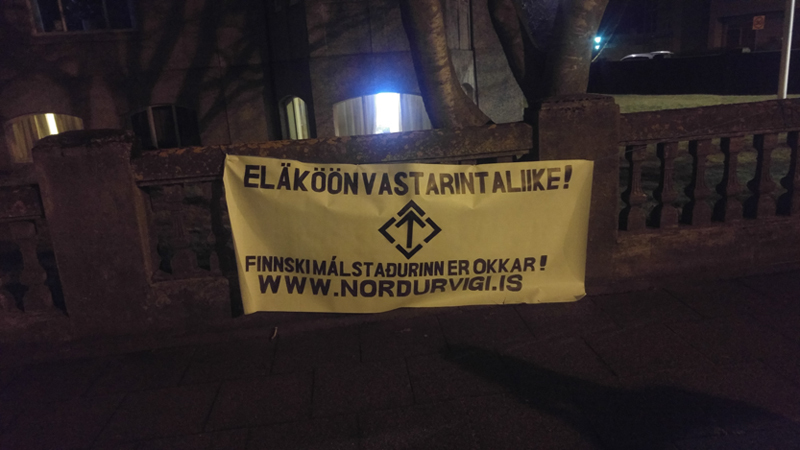 We will take part in more events in the rest of the Nordics, and we are also in the planning stage of what will be the biggest National Socialist action in Iceland since WWII. We look towards 2019 with hope and stand ready for its challenges! 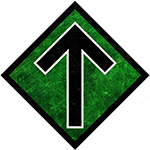 Next articleWelcome to the Nordic Resistance Movement!